The suspense was killing us, but the endorsement is in. 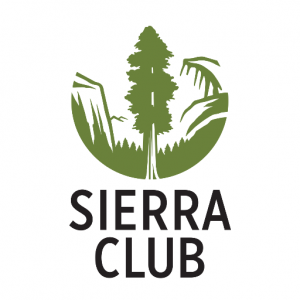 The Sierra Club this election cycle is backing — The Democrat! The Democratic Party front group disguised as an environmental organization doesn’t even bother to pretend anymore that it’s anything other than that, which is why they didn’t wait until the actual GOP primary was held to evaluate the candidates. They’re putting their money where their mouth is, literally, and endorsing U.S. Sen. Michael Bennet because he’s a Democrat who votes Democrat on Democratic Party causes — climate change, shutting down the energy industry and kicking us off public lands. The Sierra Club mobilized its staff, members, and supporters to elect Senator Bennet in 2010 and will do so again this election. Bennet, he’s just excited because finally somebody, anybody, is willing to go door-to-door to campaign for him. And we haven’t been this excited about a Sierra Club endorsement, since they told Cory Gardner to take a hike and threw their support behind former U.S. Sen. Mark Udall. We are so hoping for a command performance by their staff to repeat that campaign.